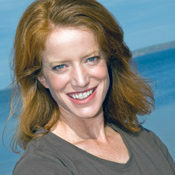 BAILEYS HARBOR – Door Shakespeare announced that well-known local actor Amy Ensign is its new managing director. Ensign returns to the company after two and a half years as marketing and development director for Third Avenue Playhouse, where she also directed shows and coordinated its StageKids education department. Ensign has over 30 years of experience in theater, instructional design, retail sales, training, and marketing. She began her career with Door Shakespeare 11 years ago as a member of the acting company, playing Elmire in “Tartuffe” and Ceres in “The Tempest” among other parts on stage. Over her six years with the company, Ensign’s roles with Door Shakespeare grew to include choreographer, company manager and education director. She initiated Shakespeare in the Schools, one of the educational arms of Door Shakespeare. Other Door County acting credits include TAP (“Shirley Valentine,” “Steel Magnolias”), Northern Sky Theater (“The Spitfire Grill”), Teatro Caravaggio (“The Belle of Amherst”), Theatre M (“A Bed Among the Lentils”) and Peninsula Players (“Almost, Maine”). Ensign also is the theater director at Sevastopol School and will continue to direct their shows while working for Door Shakespeare. She is also looking forward to the company’s newly renamed Camp Will, the weeklong theatrical workshop for actors from ages 7 through high school. Door Shakespeare is a resident summer theater company performing productions of the works of William Shakespeare and other classical playwrights, along with interactive educational opportunities for audiences of all ages. Its 2018 season features two Shakespeare plays, “Much Ado About Nothing” and “The Comedy of Errors.” The shows are presented on alternate nights at 7:30 p.m. Mondays through Fridays and 5 p.m. Saturdays in the Garden at Bjorklunden, just south of Baileys Harbor. To read the Key article, click here. To read coverage in the Peninsula Pulse, click here.